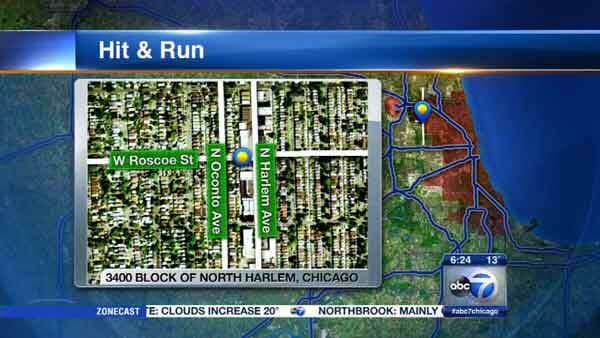 CHICAGO (WLS) -- A woman was critically injured in a hit-and-run crash on Chicago's Northwest Side. Police are searching for the driver involved. The 55-year-old woman was crossing the street in the 3400-block of North Harlem Avenue in the city's Belmont Heights neighborhood just before 6:30 p.m. Tuesday. Police said she was struck by a gold, four-door car. No one is in custody. The Major Accidents Investigation Unit is looking into the crash.